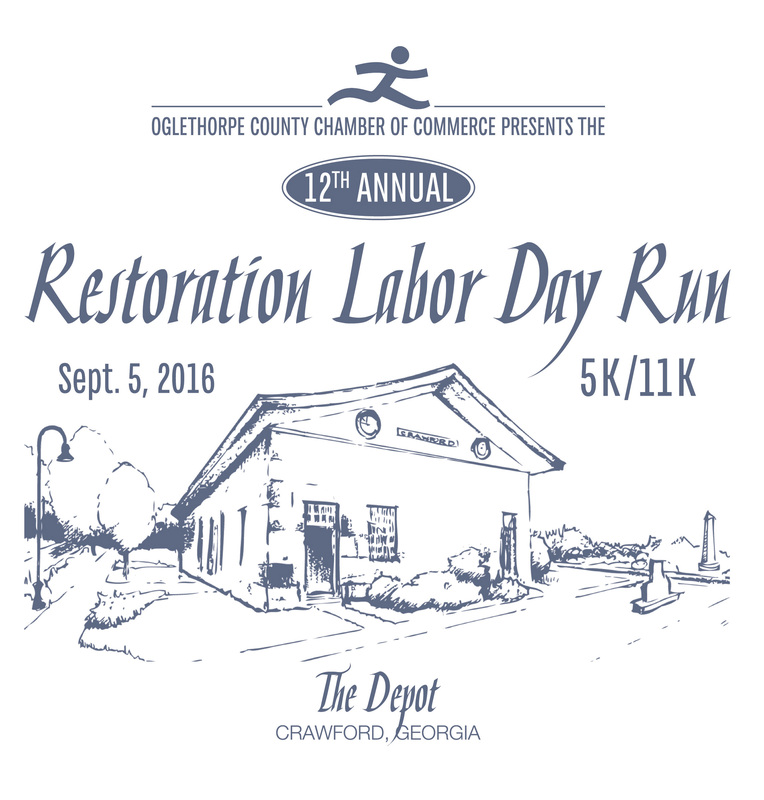 Come join us in Crawford, GA on Labor Day for the 15th Annual Restoration Run 5K and 11K hosted by the Oglethorpe County Chamber of Commerce and held at the old Crawford Depot in downtown Crawford, GA. The Depot is located on US 78, across the street from Smith Ford Sales. Proceeds from the race will benefit the restoration of the old Depot. 11K Awards will be handed out as runners turn in the finish cards. Awards in both races will be presented to Overall M/F, Masters M/F, and top three M/F in age groups beginning 10 and under through 75 and over. Finish line timing and results provided by Classic Race Services with complete results posted online at www.classicraceservices.com, www.active.com, www.athlinks.com. The race is part of the 2019 Black Bag Race Series and the Clover Glove Series. Long sleeve t-shirts guaranteed to all pre registered participants pre-registered by 8/19/19. Registrations after that date and on race day are not guaranteed a shirt or size. There will be plenty of refreshments.